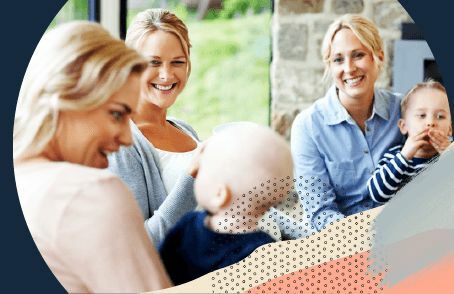 In this best Baby Carrier comparison, you can find out what the Tell Me Baby community thinks are the top Baby Carriers on the market. 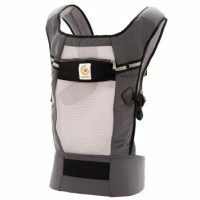 Manduca Manduca Classic Baby Carrier $189.95 4.9 12 "When shopping around for or baby carrier I really did my research and the manduca range were a real cut above the rest. 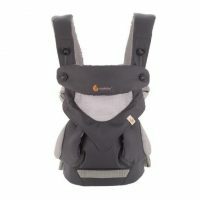 The positioning, fit and weight distribution were perfect for both my husband and myself being of two varying heights and builds..."
Ergobaby Ergobaby Performance Ventus Carrier $159.87 4.5 10 "My sister bought this carrier to take my DD on extended walks, she likes to bush walk. 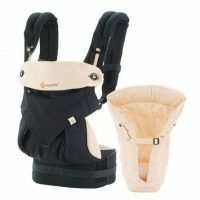 It is breathable so bub stays cool when on a walk and my Sis says it is so comfortable, she doesn't notice she is carrying around a 6kg bub :D"
Ergobaby Ergobaby Four-Position 360 Carrier $239 4.4 41 "I didn't think I wouk need a carrier but bought one after bub was born, I spent so much time researching for the best and I'm so glad I decided on an Ergo! We are farmers so it was a God send when I had to be out helping feed stock- 99% of the time my boy would fall asleep in it..."
Ergobaby Ergobaby Original Collection Bundle of Joy $199 4.4 33 "In love this carrier I have tried several others that hurt my back after wearing for only short periods. 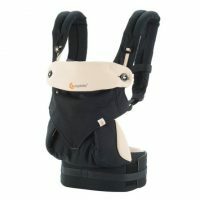 I can wear this for long periods with my 9kg baby and still no back pain..."
Ergobaby Ergobaby Original Carrier $169 4.3 23 "I love this carrier it is so comfortable and I can wear it for a long time without any back pain. It is easy to get the baby in and out, I leave the traps done up and just loosen them to put the baby in..."
Ergobaby Ergobaby Four-Position 360 Bundle of Joy $269 4.2 58 "Must have!!! I had the original sport and it wasn’t right for me or bubs but I took a chance and got the 360 and haven’t looked back since. 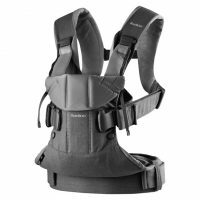 It’s a must have to get the shopping done alone..."
BabyBjorn BabyBjorn Baby Carrier One $229.95 4.2 31 "When buying a carrier we looked into a few different ones but in the end got this one and I’m so glad we did. 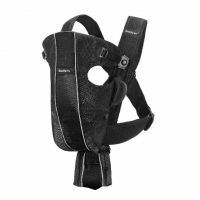 It is easy to put on and to put baby in..."
BabyBjorn BabyBjorn Baby Carrier One Air $249.95 4.2 19 "This product has been one of the biggest life savers for us with a new bub. On the days when my little one wouldn’t settle anywhere but on me, straight into the baby bjorn so I could do something with my day..."
Ergobaby Ergobaby Four-Position Cool Air 360 Carrier $279 4.2 14 "Both my partner and I love wearing our daughter in our carrier. 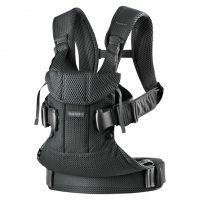 With the new born insert it was too warm to use in the heat of summer but can not fault it otherwise..."
BabyBjorn BabyBjorn Baby Carrier Original (Discontinued 2018) $139.99 3.4 44 "I love, love, love this product! When my son is fussing I can put him in the carrier and just potter around the house doing chores or taking a walk in the garden, it keeps him content and keeps me from feeling trapped inside with a grizzling baby..."
Using a baby carrier, or “babywearing”, is a beautiful way to bond with your baby. Babywearing can also be extremely practical. Being able to carry baby with your hands free is great for quick trips, grocery shopping, or just being able to hold baby around the house and still get stuff done. There are so many different types and brands of carriers though, so it can be a little overwhelming choosing the right carrier. 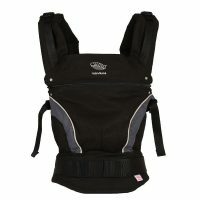 When looking for a baby carrier you want to find something that is going to be comfortable and easy for you to use. Also, you want a baby carrier that is going to meet your specific needs, so look at whether they’re suitable for newborns, the weight limit and also what carry positions the baby carrier can offer. Soft structured carriers, or buckle carriers, are the most popular carrier because they’re generally considered easier to use. Many offer a range of carrying positions, including forward facing, back or hip positions. Some may be suitable for newborns through to toddlers or even preschool age. Ring slings or buckle slings are a piece of fabric that goes diagonally across your body and then can be adjusted to fit snugly. Slings look really simple, though correctly positioning your baby upright, high and tight, might be a little trickier than it seems. 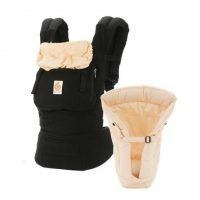 Though they are very quick and easy to use when you are confident positioning baby correctly. It’s important even in these slings that baby is still positioned in an upright position with baby’s chest and tummy against your body. Stretchy wraps are great for newborns and younger babies, though they do start to drag down and feel heavy with a bigger baby. When worn correctly can be very comfortable, because they’re made of a length of soft, stretchy fabric. They also can feel lighter and more breathable, so they’re great for summer and warmer climates. Though they can take some practice to wrap correctly. Woven wraps require the most skill to wear. 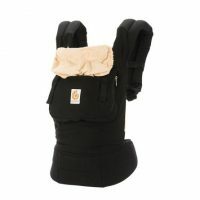 Though with lots of practice and patience are often considered the most comfortable and versatile baby carrier. Woven wraps can be wrapped in a variety of different ways to suit different ages and stages of your baby or toddler Also it’s worth trying out different ways to wrapping to find what feels most comfortable, and easiest, for the parent. Structured backpack carriers are usually used for hiking or long walks, rather than quick trips or around the house. They’re generally not suitable for newborns, though often carry babies from the time they can sit upright through to preschoolers or beyond. One advantage to using a structured backpack carrier is you securely buckle your baby or child into the carrier before you pick it up, so this might feel easier for parents who are nervous about putting their baby into a carrier wrong. No matter what carrier you choose it’s important to make sure your baby is going to be safe at all times. Firstly, regularly check your carrier for signs of wear and tear. Also be wary of buying baby carriers online from overseas or unknown sources, because not all carriers are made to Australian safety standards. It’s worth checking out the “TICKS” guide to ensure a safe babywearing position.